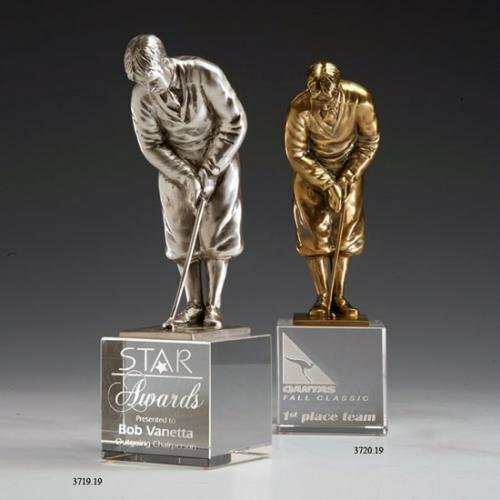 For a truly unique award, we offer this Frosted clear resin Golf pedestal award. Sculpted with amazing detail this award is perfect for a special recognition of an athlete. 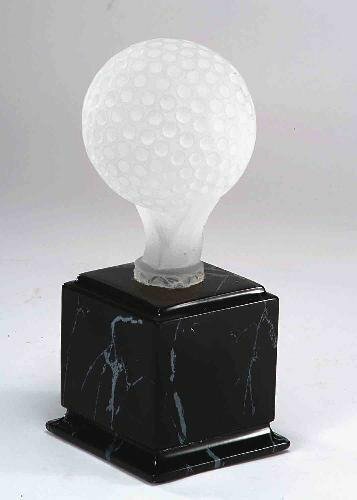 Perched atop a black marble finish base, this elegant award is sure to please. 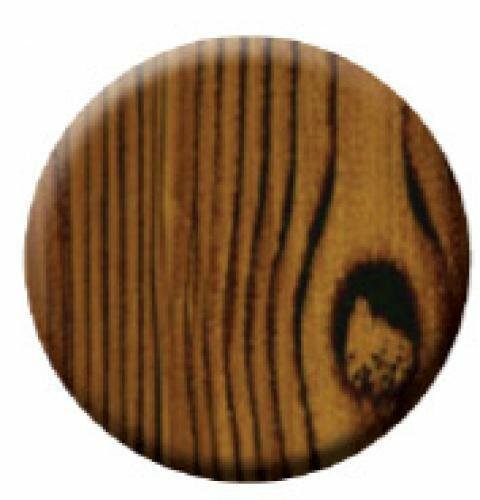 It comes in a white gift box with a clear center for added punch.